WEST POINT – Despite a second-half surge by Fairfield, the Army West Point men’s basketball team was able to outlast the Stags and capture a 63-60 victory on Saturday afternoon at Christl Arena. Matt Wilson led all scorers in the Black Knights’ (4-5) win over the Stags (2-6) with 19 points on 8-of-14 shooting to pair with nine rebounds. John Emezie found his way to double-digits in the scoring column as well, coming away with a season-best 16 points while adding five rebounds. The Black Knights used a pair of runs in the early portion of the first half to gain an advantage. 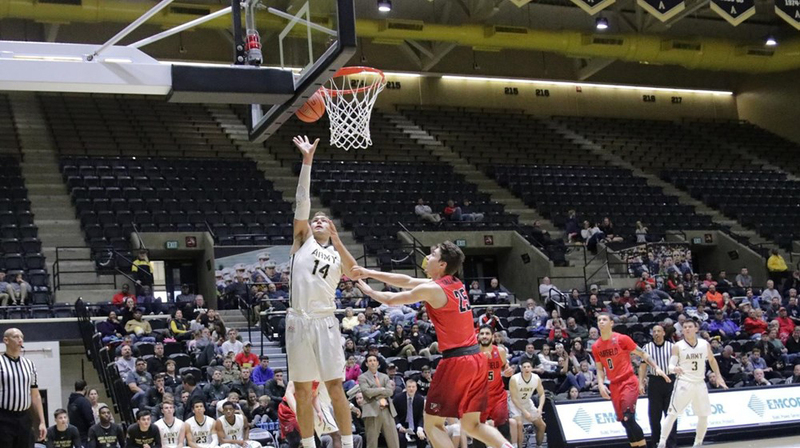 An Alex King layup sparked a 13-0 Army run, while Wilson and Emezie combined for nine of the team’s 13 points during a three-minute stretch to put the Black Knights up 15-7. The Cadets continued to add to their lead and pushed the advantage to double-digits, 32-17, after going on a 15-0 run. Over that span, the Black Knights missed just one shot and buried a trio of 3-pointers. Neither side shot the ball with much efficiency in the second half, but Fairfield turned up the intensity on defense and forced three straight Army turnovers with 12:41 left to play. The Stags capitalized on the Army miscues and brought the deficit within single digits, 45-40. Following a pair of makes from down low by Wilson, Fairfield used a 9-0 run to even the score up at 49 apiece with 7:24 remaining in the game. A 3-pointer by Fox broke the scoreless drought and ignited the Army offense, sending the Cadets on an 8-0 run, but Fairfield continued to fight and took a one-point lead with 1:35 on the clock. The final minute came down to free throws and the Black Knights ultimately came out on top, 63-60.